We woke up at around 4am for our 5:45 schedule ferry trip to Bohol. Oops! we don't have ticket yet, as the MV Starcraft said before, they do not book in advance. Again, when we arrived at Pier 1, we asked guys wearing MV Starcraft Shirt where can we buy tickets and he just pointed it out. The ferry boat is fine with us, good airconditioning, comfortable seat with television much like you're in a bus. Tubigon Port is much better location if you wanted to start your day to Danao. Less time travel. As early as possible. Tagbilaran is roughly 2 hours drive to Danao. 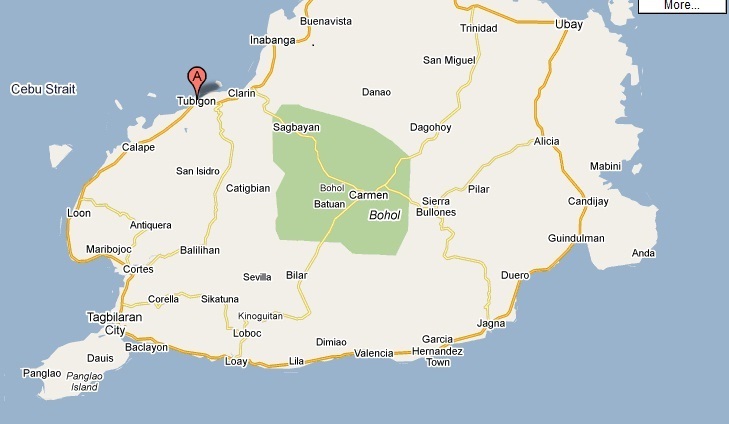 To help you visualize and plan better, the above picture is the whole map of Bohol. We already inquired car rentals before the trip because we do not want the hassle of haggling with the drivers at the port due to time constraints. We wanted to take this whole day to start with Danao adventure then to Chocolate Hills and Land Tours afterwards. Kuya Arnel waiting for us! This is much expensive than the normal rate of the Chocolate Hills and Bohol land tours, but we were happy because we managed to experience danao and the land tours in just a day. We have only few days here so hitting two birds in one stone is way good for us. Danao is about 30-45 minutes far from Chocolate Hills. I'm proud to say that our rented car got a very very good air conditioning, we need it because of a very hot weather. TIP: Try to ask and search for some car rentals with much cheaper price. Haggle! -You can do Danao Adventures for the whole day, there's a lot more to offer, most especially if you're the adventurous type. -If you have more time, you can also visit Sagbayan Peak first before the Chocolate Hills in Carmen, Bohol. This is a miniature park of the Chocolate Hills. Contact directly our tourist driver not the car rental like what we did, maybe he can give you a cheaper rate. Thanks for the information you posted. It will surely help me on my trip to the Visayas. if anybody can provide a cheaper car rental for this one-day tour, please comment to help future travellers! great source of info! thanks a lot! we will be traveling from Cebu passing Bohol, Siquijor and Dumaguete. your blog helps a lot in our planning. wow! your trip is fabulous! Hi, I just like to ask what other ferry can take me from Tubigon to Cebu aside from MV Star Crafts? hi can u tell me how much was ur total expenditures per person? i just wanna compare cause im not sure if i got the best deals already. thanks! the first 3 1/2 days, we were group of 4. the last 1 1/2 days, we're just two so the rest of our expenses (including the balicasag and bohol bee farm tour) we're subdivided only into two. Roughly it's around 10-11k/head (plane not included). The real best deal is if you'll be going with groups. Van/car tour for rent, and island hopping tour is fixed. And also hotel accomodations will be much cheaper. Enjoy, hope you'll have fun the cheapest way! may i ask... the 4000 php is for one car or one person ??? how about taking one day trip to BOHOL, can it ? 4000 is per vehicle for one day, can be a car or van. Usually it's around Php2500 if you're choice is to do only the Bohol Land tours. Ours is Bohol Land tours + going to danao (for the zipline and plunge adventure)that's why it is much expensive. You may also do the Panglao Tour for one day (see part 10 of this blog) which includes bohol bee farm, hinagdanan cave, etc. and if you have time, you may want to explore the beaches of panglao too. 1. how much the fare for the car ? if my itenary like that ? 2. how long the tour takes if my itenary like that ? can we have time to take a look at panglao island for a while ? Hi,thank you for this informative site. can you recommend a nice place to stay in Danao? since we went to danao first, we left danao around 10am. We skipped sagbayan peak, had our buffet lunch cruise around 2pm already, ended our tour around 5-6pm. 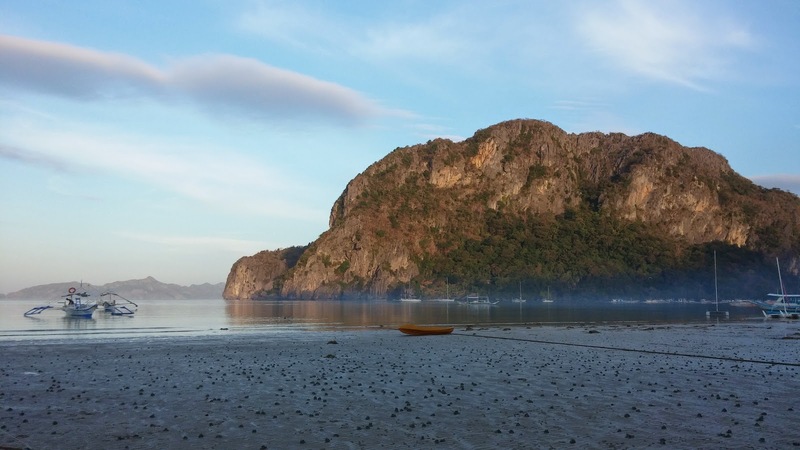 If you really wanted to see the panglao island, and be at the port at 630pm, sacrifice one site (in our case its the sagbayan peak - miniature park of chocolate hills) or do not stay too long on sites. P.S. if you're not going to danao or sagbayan peak, you can just go to bohol via tagbilaran port, probably see the monument, church and panglao beach first then go ahead to other site. But it actually depends on the driver because he should know the best route for your tour. E.A.T. Danao also offers room rates! want 'em to enjoy the beauty of the philippines..
thanks des! i'm sure you'll have fun there! Hi, how much time did you spend in Danao for the Plunge and Zipline? Were there many tourists queueing for each activity? We visited Danao early around 8am and saw some tourists too. We're lucky to be the first in the zipline. Unlike other zipline, you don't need to wait too long because they do the ride one after another just few seconds difference or sometimes while one is doing the ride, they're already preparing your safety gears! Meanwhile in plunge, it takes 10-15 minutes of preparation. Since we started to do our zipline first, one person is on queue for the plunge while we wait for our turn. You may try this first because usually, people try this as their last stop as this is the highlight of the adventure. We finished it roughly about 2-2.5 hours for these two rides. I just wanted to thank you for such an informative site! :-D Your blog was really helpful and in fact the IT I made for my friends and I were based on your IT. The Suislide and The Plunge were the greatest! All of us jumped! Even my 12 year old nephew! We are doing the head-first position next time!